Are you in need of a chiropractor in the Tampa area? At 100% Chiropractic A Wellness Center, Dr. Pedro wants to share his vision of healthcare and wellness with the entire Westchase-Tampa-St. Pete community. The center is a family oriented, patient focused practice that concentrates on helping you live life at 100%. Whether you have experienced an injury from an automotive or sports accident, or you are experiencing neck pain, back pain, headaches, asthma, allergies, hip pain, knee pain or decreased immunity, we are here to help restore your health and get you back to feeling great. Our goal is to address your immediate issue and then create long-term wellness plans to improve quality of life. Dr. Pedro is an experienced chiropractor, educated at Palmer Florida. Since then he has relocated to the Tampa area to change the lives of its residents. Using innovative, yet safe techniques, he can effectively treat your pain and help you live pain free. Through chiropractic care you can experience the health and wellness you have been searching for. Here you can learn how to make better decisions when it comes to your health and get your body functioning at the highest level. In addition to the chiropractic techniques that we offer, our clinic also offers massage therapy. Massage is no longer just a luxury, but also has healing powers that can ensure a speedy recovery for you. Massage works by relaxing the muscles and improving the blood flow to reduce swelling. We also do chiropractic care for the whole family. We are experts in both prenatal and pediatric chiropractic care, both requiring a gentler touch. We also specialize in sports injuries, injuries from auto accidents and chiropractic care for those suffering from aching joints and tendons. 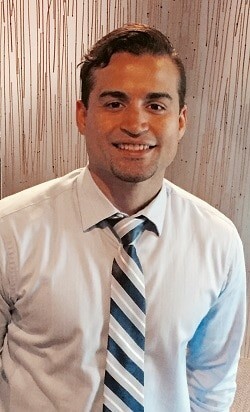 Come visit Dr. Pedro today at our Tampa Bay office and get started on your chiropractic care today!